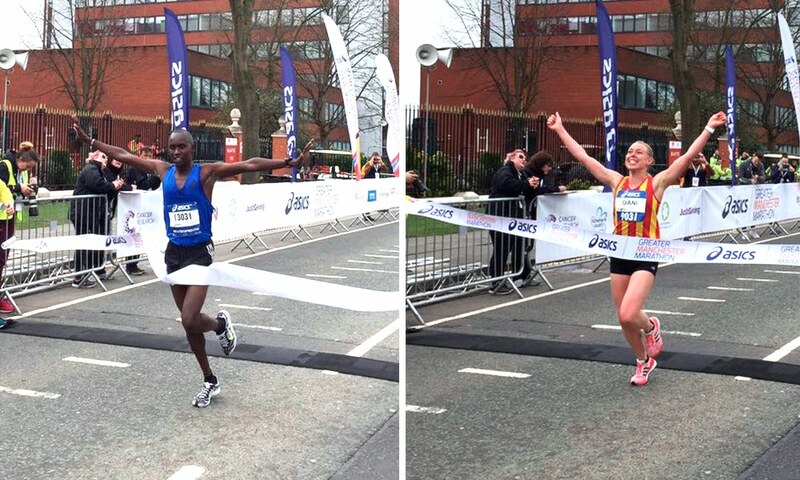 Kenya’s Shadrack Tanui and City of Norwich AC’s Dani Nimmock won the 2018 Greater Manchester Marathon on Sunday (April 8). Pre-race favourite Tanui lived up to expectations winning the men’s race in a time of 2:21:17 and finishing almost four minutes ahead of his nearest challenger. 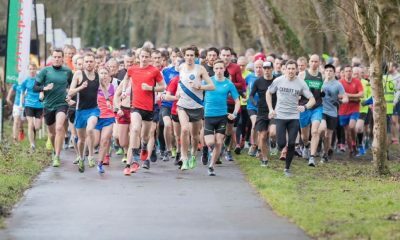 Before the marathon, the 31-year-old, who is a brother of 2011 London Marathon winner Emmanuel Mutai, had set the goal of running closer to his PB of 2:10:39, however, it wasn’t to be in his first outing on UK soil. At the halfway point in the race, which starts and finishes in Trafford, Liverpool Harriers’ Dejene Gezimu was right on the heels of Tanui, before the Kenyan pulled away in the second half to build up a four-minute lead by 20-miles. Gezimu was a casualty in the last six miles, and at the time of writing, what happened is unknown. With a quarter of the race to go, the chasing trio of Andreas McConville, Irish runner Mark Ryan, and Ben Johnson were inseparable, however in the closing stages, it was Southport Waterloo’s Johnson who had that bit more to give and pulled away to take second in 2:25:03. Rathfarnham WSAF’s Ryan, who was making his marathon debut completed the men’s podium, crossing the line in 2:25:39, finishing over a minute ahead of East Hull Harrier Steve Bateson. 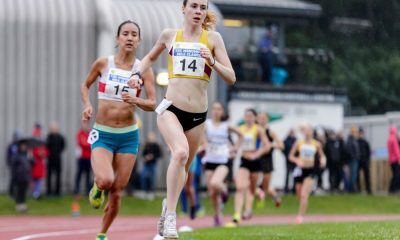 Garscube Harriers’ Katie White made a fast start in the women’s race and had an 11 second lead at the 10km mark, however, City of Norwich’s Dani Nimmock impressively made up the ground by the halfway point. Nimmock, who ran 74:13 at The Big Half in London last month, took control in the second half and crossed the line in 2:38:24 to win by almost three minutes. 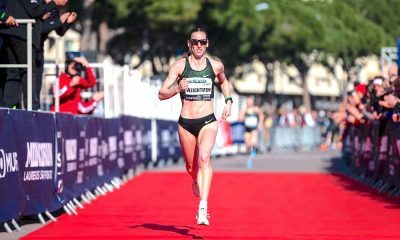 It was a big personal best for the Norwich runner slicing nearly ten minutes from her time at the Frankfurt marathon in 2016. Finishing second was White in a personal best of 2:41:15, with Wakefield Harriers Julie Briscoe third, running a time of 2:41:35. Laura Riches, who has been sharing her running journey this year on Fast Running as part of the ‘class of 2018‘, was making her marathon debut and had ambitions to dip under the three-hour mark. 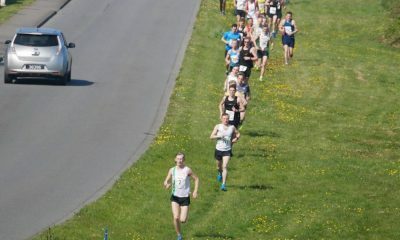 After a first half split of 1:27:35, and still on target at 20 miles, the Leigh Harrier ran into trouble in the daunting final marathon miles but battled through the experience, endured by many first timers, to finish in 3:08:48. Hopefully, Riches will not be put off from having another crack at the sub 3-hour marathon in the future. A special mention should also go to 2006 Commonwealth Games marathoner and winner of the London Marathon 1000-mile Challenge, Shona Crombie-Hicks, who crossed the line in 2:57:49 as a V45 runner.